We are currently working with the following six shelters. All provide food, supplies, and a place to rest for Venezuelan refugees. 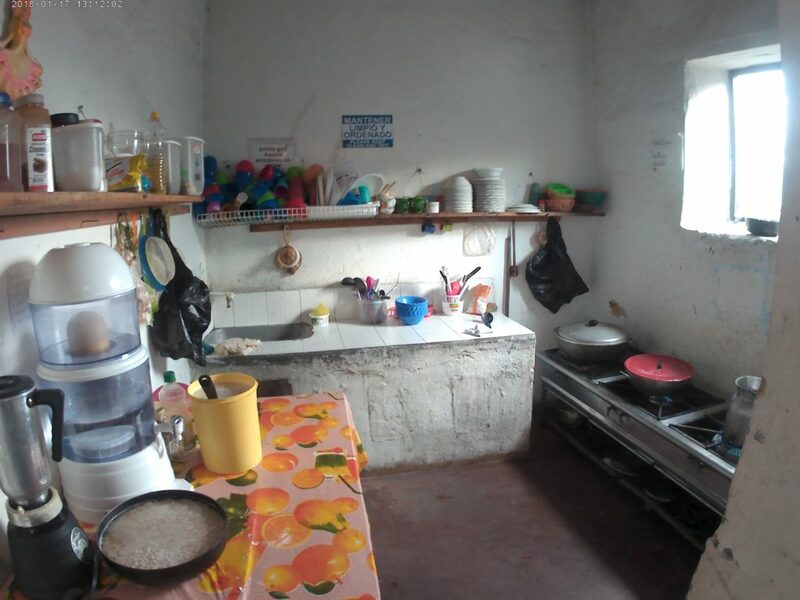 This refugee house is sponsored by FundAR, an organization started by Venezuelan expatriate Antonio Rojas, who has been living in Colombia for several years. The shelter is staffed by four Venezuelan refugees, who themselves arrived on foot from Venezuela. They are unpaid, but they have food and shelter and consider themselves “los afortunados” – the lucky ones. This shelter has no electricity or running water, but walkers bathe in the river, and all cooking is done outdoors on a large gas burner. The sleeping area is a tarp enclosed space with plastic pallets and thin sleeping pads. Refugio 3 houses up to 200 people nightly. 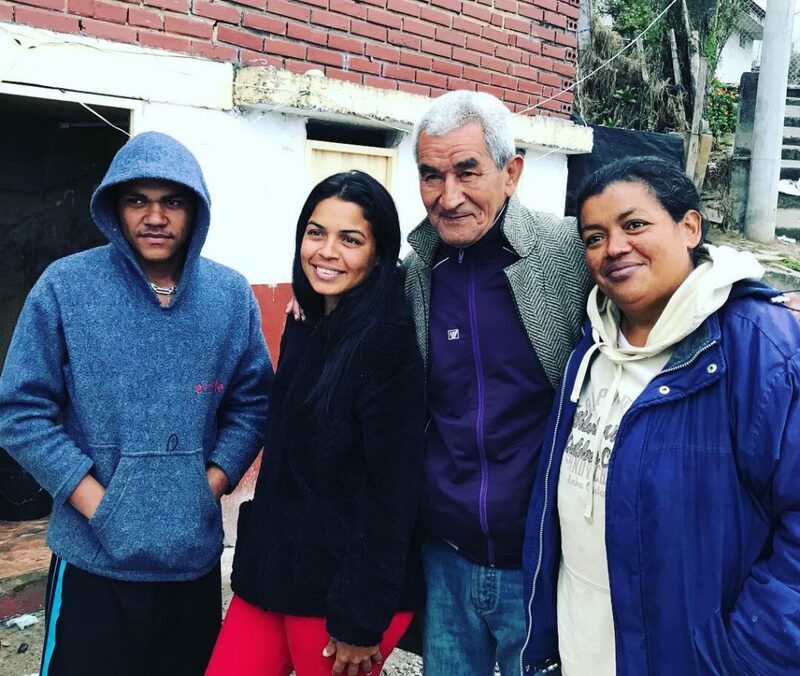 Refugio 5’s founder, Marta, began to open her roadside home to Venezuelan refugees in January of 2018, providing hot meals and sleeping space for as many as she could accommodate. 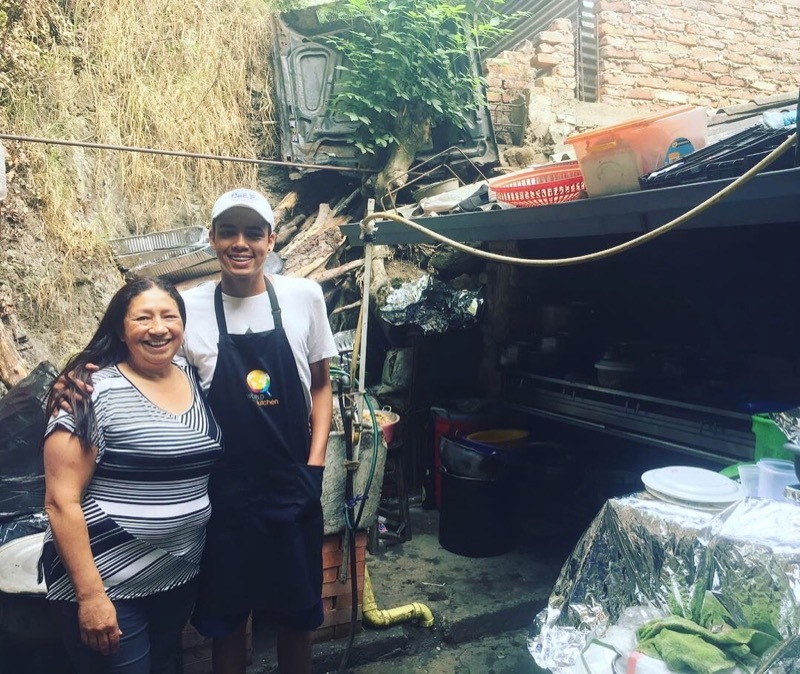 One year and three months later, she and her team of four Venezuelans are cooking 250-300 meals a day, and 50-60 women and children are sleeping on bunk beds and the floor of her house every night. Because her home is small, Marta is only able to accommodate women and children in the house; the men sleep in the space between her house and the road out front. This shelter, also sponsored by FundAR, is located along a very cold section of the pass. 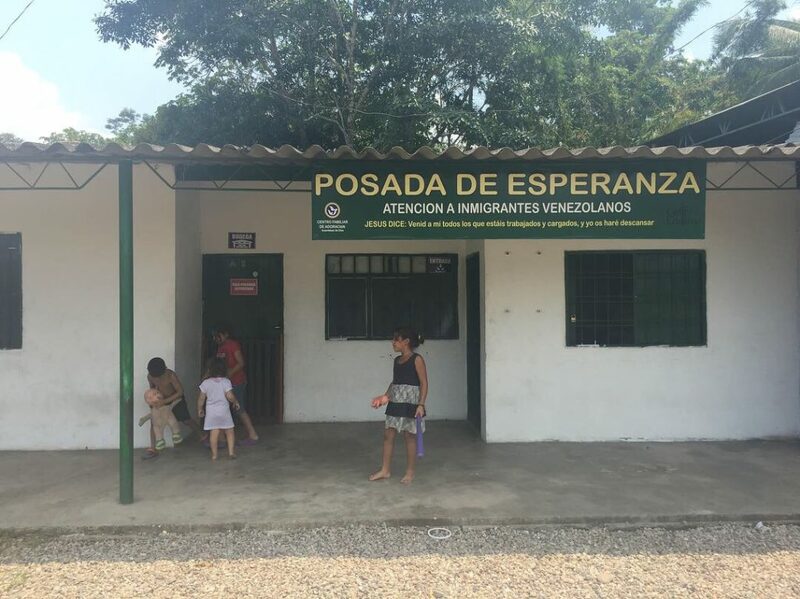 It’s staffed full-time by four Venezuelan refugee volunteers. Accommodating up to 100 refugees nightly, the shelter struggles to provide adequate blankets to keep the refugees warm in the near-freezing overnight temperatures. Jose’s Assemblies of God congregation in a nearby city sponsors the shelter. Church members have banded together to fund the rent, food, and keep the lights on. They also send weekly volunteers to help with cooking, cleaning, laundry, and the endless logistics involved with preparing and serving several hundred meals a day and housing 60 people nightly. 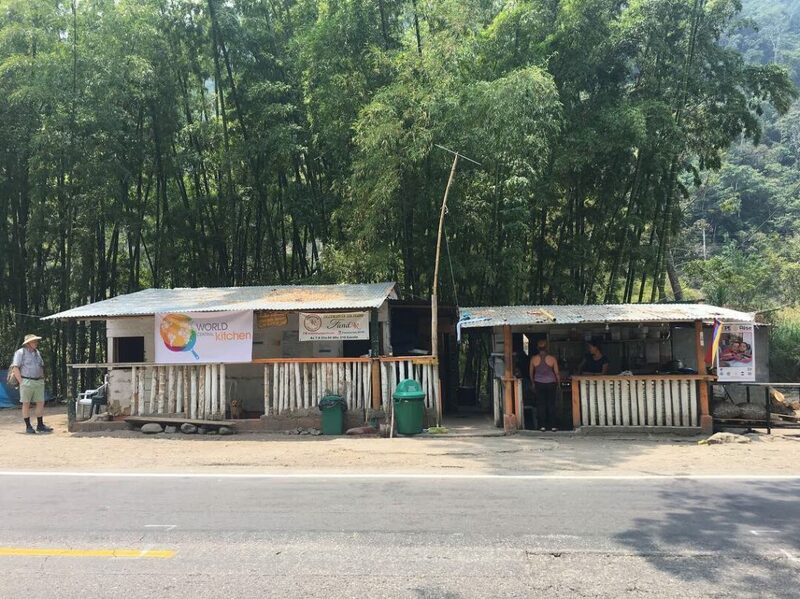 La Fortuna shelter is smaller than many of the others, with capacity for 50 people nightly. The shelter is staffed by two volunteers, a Colombian and Venezuelan. The walkers help out with meal preparation. Given the small resources and large needs, this location is often filled to overflowing. However, there is a pleasant courtyard in the back where many of the refugee children enjoy playing. Director Anny is Venezuelan but has lived in Colombia for over 15 years. Her husband Misael is a music teacher. The two of them run a music and arts foundation in Tunja, with multiple student orchestras, but took a step back when they decided to open this shelter in August 2018. 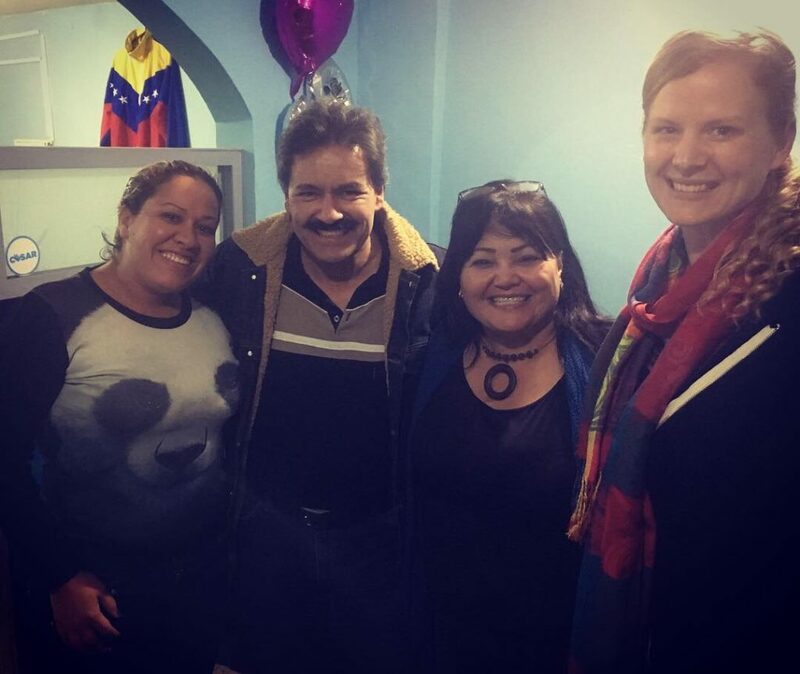 They have a staff of 6 Venezuelans, all volunteer – an assistant director, a cook, two nurses, an accountant, and a security guard. All of these volunteers arrived at the shelter as walkers and have remained to help out. Food at this shelter is funded by the Red Cross, but there is urgent need for medical supplies. Although there is plenty of work for the two nurses, they have very limited resources. It is our goal to raise funds for simple medications and first aid supplies. In addition to medical needs, there is a huge shortage of shoes for refugees. At 260 miles from the border, Tunja is about a month’s walk from Venezuela. Many people arrive with huge holes in their shoes, or even rags tied around their feet because their shoes are completely gone. Holding up a pair of worn-through child’s shoes, founder Anny began to cry – “These are just one of thousands,” she said. © 2019 On The Ground International.Charity Care by Rara Theme. Powered by WordPress.